Jesse Munguia has lived all of his life in what he calls a very tough neighborhood of East San Jose. He's worried about violence escalating after this last weekend's shooting of 18-year-old Pedro Cortez. But he says he's living proof of someone who toed the straight line and now has a job and family of his own. "It's just a long journey," Munguia says. "It's really up to the parents to really make an impact in their sons and really put attention where they are going out in life." 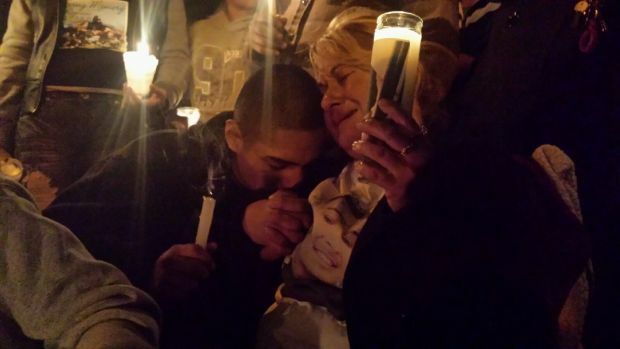 The night after an emotional candlelight vigil, the Cortez family and some close friends returned to the same spot. Family says Cortez was not a gang member, but his killing happened in an area known as gang territory. 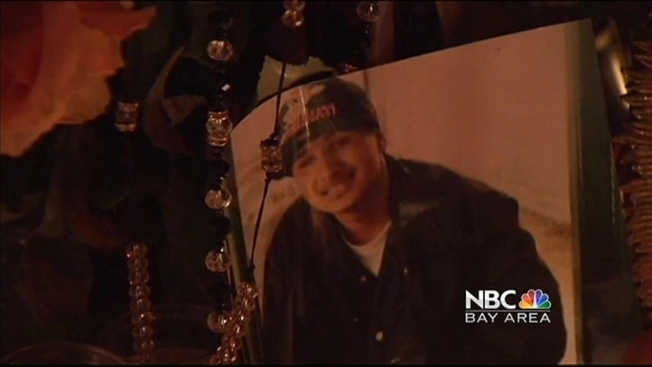 A vigil was held Monday for an 18-year-old man gunned down in East San Jose. George Kiriyama reports. The San Jose police gang suppression unit kept a watchful eye, making sure family was safe and things stayed peaceful. Danny Sanchez, a volunteer chaplain for the City of San Jose's gang task force, says he's concerned about the tension being felt in the neighborhood. "Senseless violence. People are hurting," he says. "My message would be don't do something foolish that you're going to regret the rest of your life." Sanchez works with young men on the streets, many of them gang members. He wants to change their lives before it's too late. "Show them that we love them. Show them that we care about them," he says. "Show them they are a vital part of our community and of our future." Munguia believes the neighborhood can play a stronger role and wants to see a community of mentors and role models. "If I see someone out there who might need some help, I would be willing to do that," Munguia says. "I'm sure everyone in this community would do as well."